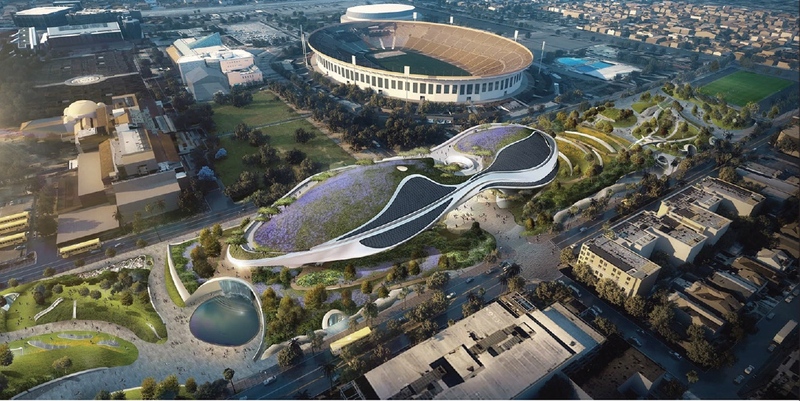 MAD Architects reveals new renderings for Lucas Museum in Los Angeles depicting the building's dome-shaped public spaces and building entrances. 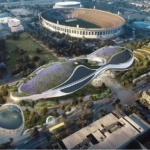 NBC Los Angeles has released another collection of new renderings for the MAD Architects–designed Lucas Museum of Narrative Art. 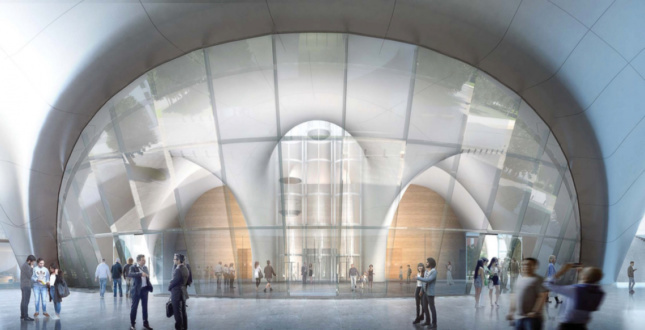 While The Architect’s Newspaper published several of these new renderings back in May, the latest release includes three new images depicting the public loggia located between the building’s two main entry pods. 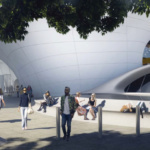 The renderings depict a series of bubbling masses rising from the surrounding parklands with what appear to be metal panel-clad bubbles and domes stretching up out of the ground. At one end of the loggia, the bubbles conceal a restaurant space; on the other, they shelter entries to a library and digital classrooms. At the center of the loggia, the building’s mass rises to its crescendo, where it is capped by a central oculus. 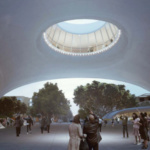 The dome’s descending pendentives frame the complex’s two main, glass-clad entrances. One end of the loggia contains entrances to an amphitheater while the other end leads to the museum’s principal entrance. The oculus above is framed in glass curtain walls, allowing visitors to see below from above. The inside of the entry spaces is clad in wood paneling, similar to MAD Architects’ treatment for the Harbin Opera House in Harbin, China. 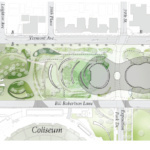 The Lucas Museum is expected to begin construction in September of 2018 and open in 2021.